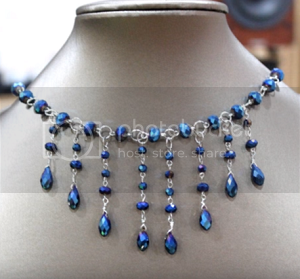 The necklace is created using simple wire jewelry techniques. 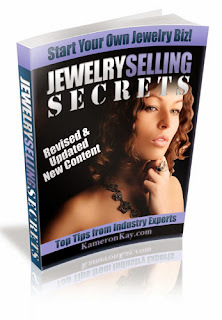 Basically, you will need to learn how to make loops, wire wrap a teardrop bead and open jump rings. 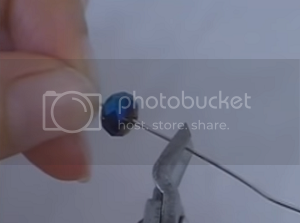 Once you know these basic wirework techniques, you can easily connect all beads and make your own necklace! 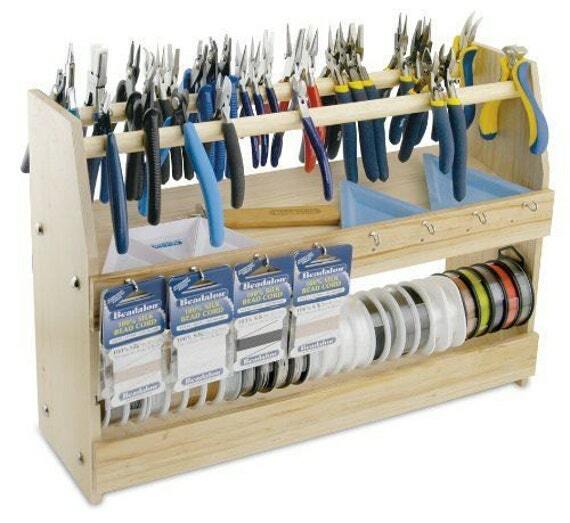 Prepare the following materials and tools. You can also choose a different color tone if you like. 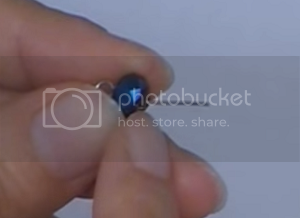 From a spool of 22ga wire, insert your bead. 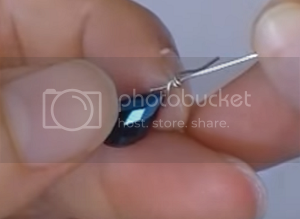 Leave about 0.8cm from the tip to the bead. 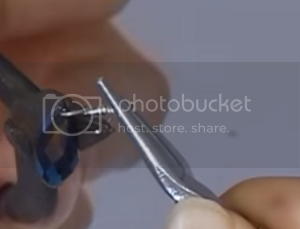 To determine the length to cut the wire, measure again 0.8cm from the other side of the bead. 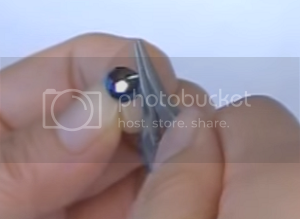 From 0.8cm, bend the wire 90 degress like so. Here’s a basic wirework technique, making loops. 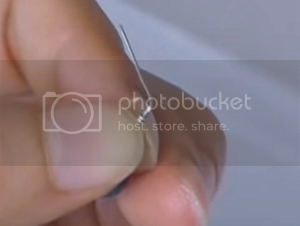 With your round nose pliers, grip the tip of the wire. Turn your hand inward and make a loop. Repeat from start and do the same for the other end. 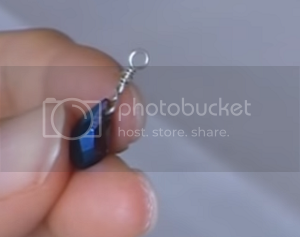 How to wire wrap a teardrop bead. 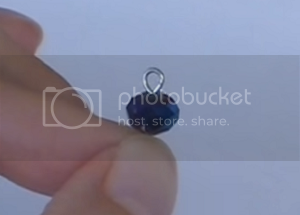 Insert 5cm 22ga wire into the teardrop bead. 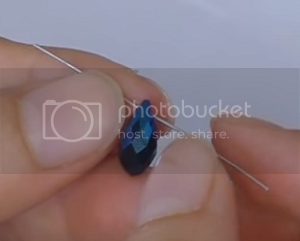 Position the bead at the center of the wire. 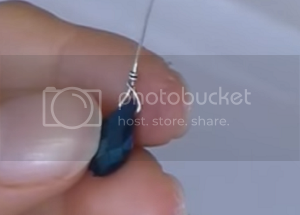 Using your flat nose pliers, bend the wires and make a triangle on to of the teardrop bead. Further bend the left wire to 90 degrees like so and then wrap onto the right wire at least 2x. Cut off excess wire. Now, make a bail. Bend the extended wire to 90 degrees. 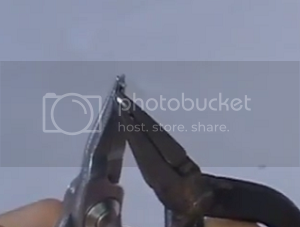 Grip the wire with your round nose pliers just above the joint and wrap the wire onto the pliers to make a loop. 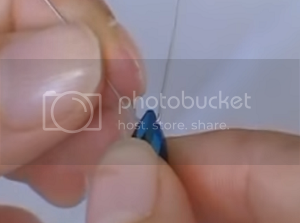 After wrapping the wire onto the round nose pliers continue wrap the wire below the loop. 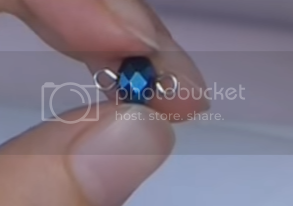 First, open a jump ring. 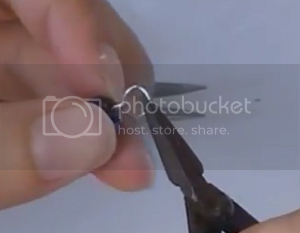 Grip the jump ring using 2 flat nose pliers. Open the jump in opposite directions; one going inward and one going outward. 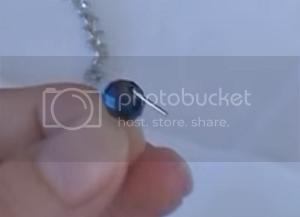 Slide in your beads with loop and close the jump ring the same way you opened it. 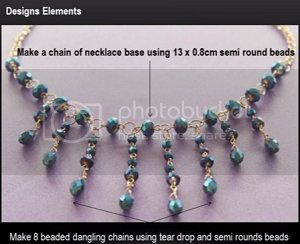 Now that you’ve learned these 3 basic wirework techniques, construct the necklace by following the design element. 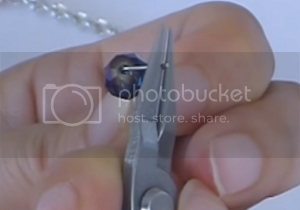 www.handmade-jewelry-club.comDo not copy, lend or mass produce.